LOCOSYS JUMPS IN TO SUPPORT THE EVENT! We're stoked to add Locosys to our list of esteemed partners for this year's US National Windsurfing Festival in Yorktown, VA! You don't really know how fast you're going until you KNOW how fast you're going! 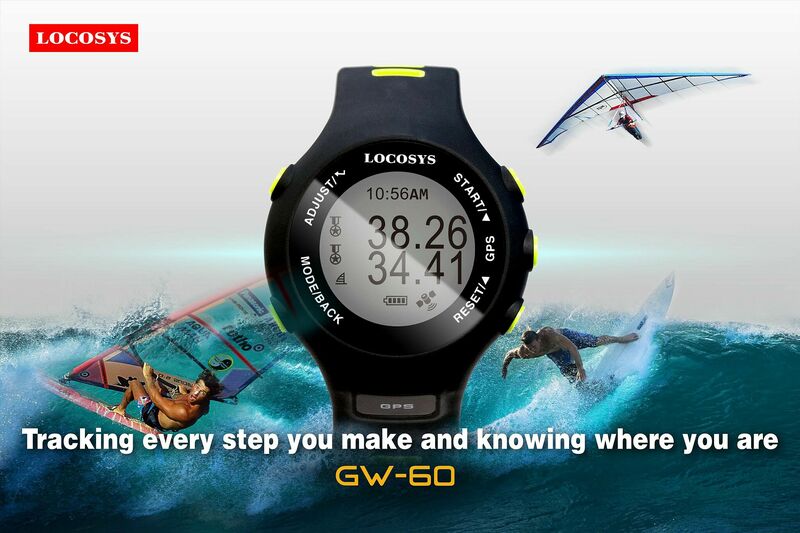 The GW-60 GPS watch is the reference out there, and we're stoked to add Locosys, the company behind the watch, to our list of esteemed partners for this year's US National Windsurfing Festival in Yorktown, VA! We just received one of those GW-60 for a raffle prize at the event, and it's taking all our strength not to open the box and take it for a spin! I'm a long-time windsurfer up here in Minnesota and I have been involved with GPS windsurfing since 2003! I worked with Locosys in the early years and assisted with optimizing the firmware to best serve the needs of the sailing community. The current model, the GW-60 GPS, measures and displays speeds to the nearest one-hundredth of a knot! That's what it takes to be universally accepted at World GPS Speed Sailing competitions. As a timekeeper for speed sailing events, my job is to analyze and verify the accuracy of files of local events, and also world record claims presented to the World Speed Sailing Records Council (WSSRC). I do that for windsurfing, but also ice sailing and land sailing! It's great to see enthusiasts use the wind to compete in all forms of wind-powered competition. But it's not just a tool for the best riders out there! It's perfect to keep you motivated and help you improve your performance whether you're a beginner or an advanced windsurfer. I'm really pleased to support and promote this major event and US Windsurfing in 2018!